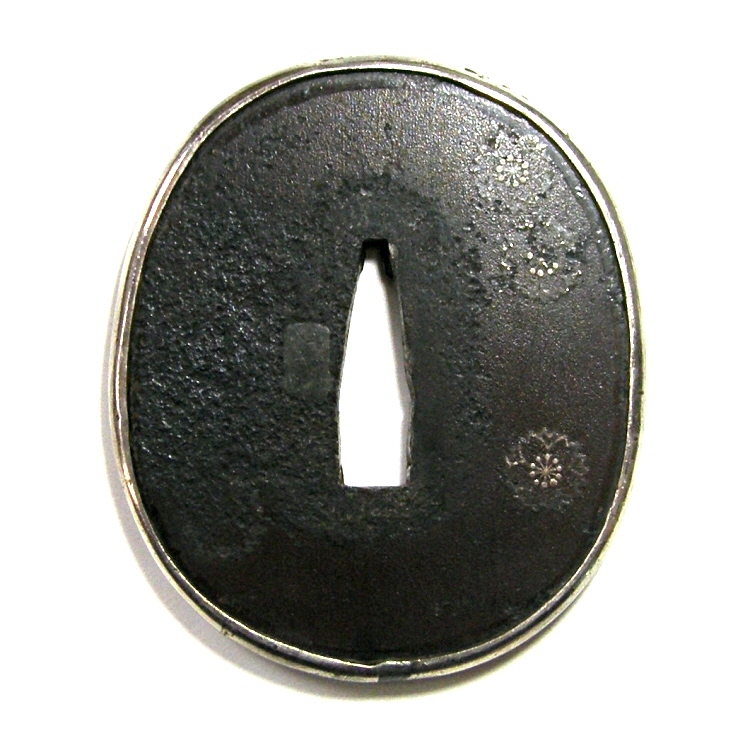 Its circumference is covered with silver metal plate (Fukurin). 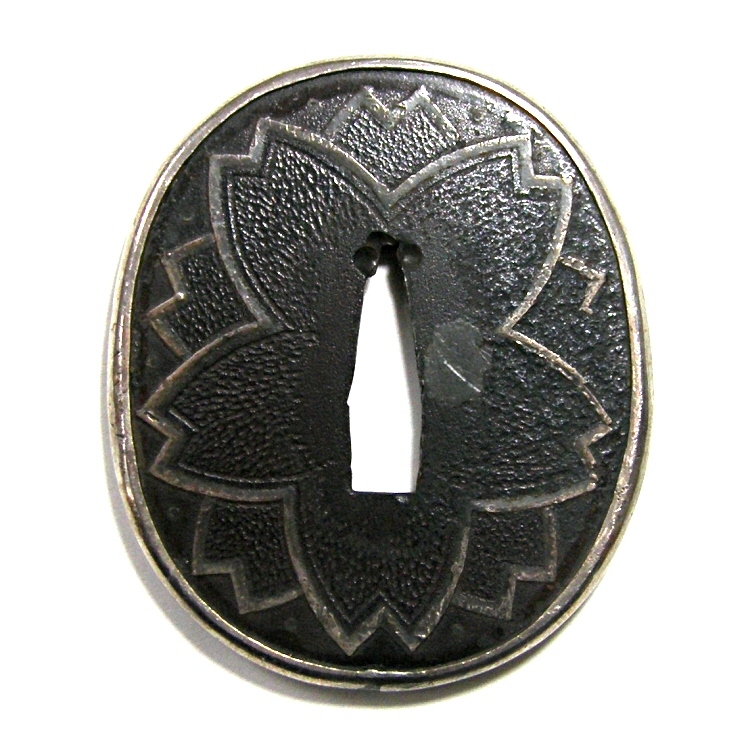 Sakura (Japanese Cherry) flowers are expressed in carving and the Zogan inlay method with silver. Some parts of the inlay are peeled off. The under side is a little waste. 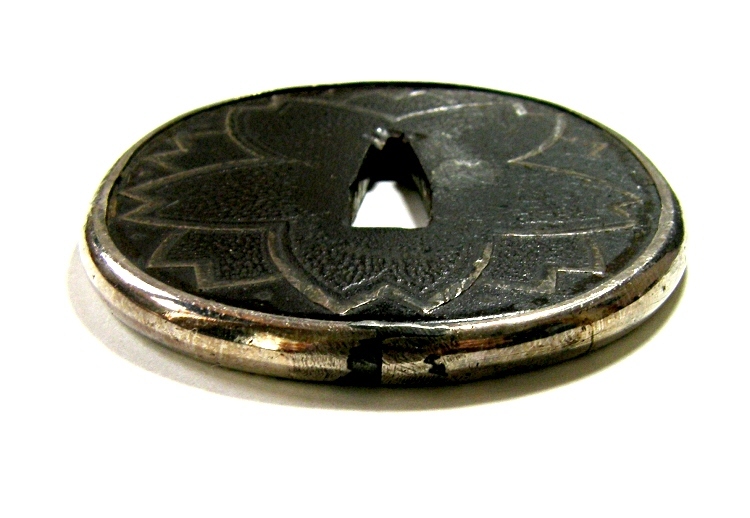 Although, the tsuba looks tasteful. It is made from Shakudo (Alloy of copper and gold). Sakura flowers are expressed by chisel. Sakura flowers are also expressed in inlay. The rim part is covered with silver plate.